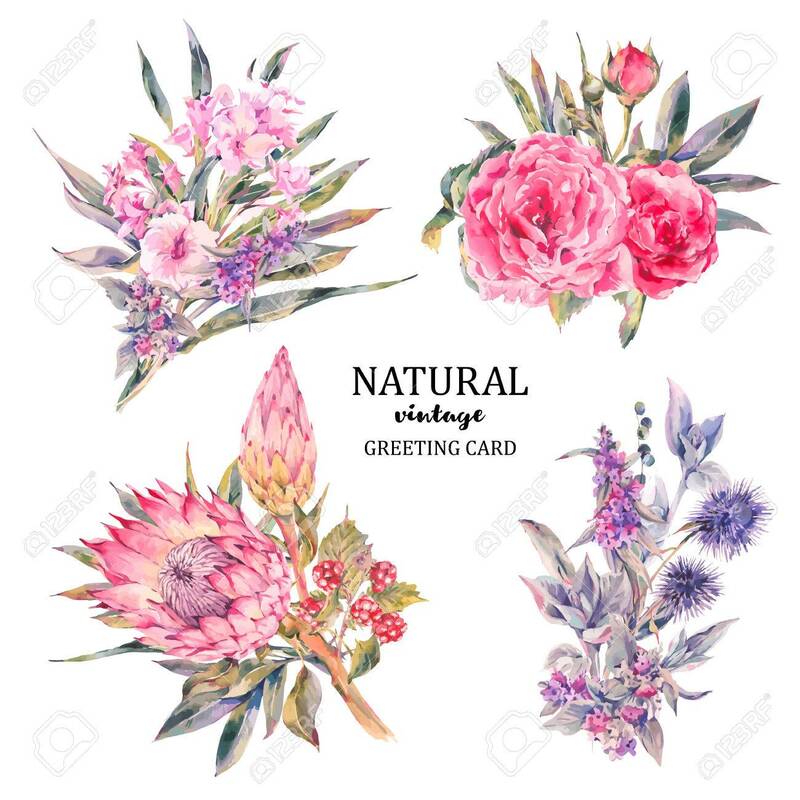 Set Of Vintage Floral Vector Bouquet Of Roses, Protea, Stachys, Thistles, Blackberries And Wildflowers, Botanical Natural Flowers Illustration On White. Floral Greeting Card, Flower Decoration Bouquet Royalty Free Kliparty, Vektory A Ilustrace. Image 66882987.